Do You Have Can’t Have Anyone Over Syndrome? 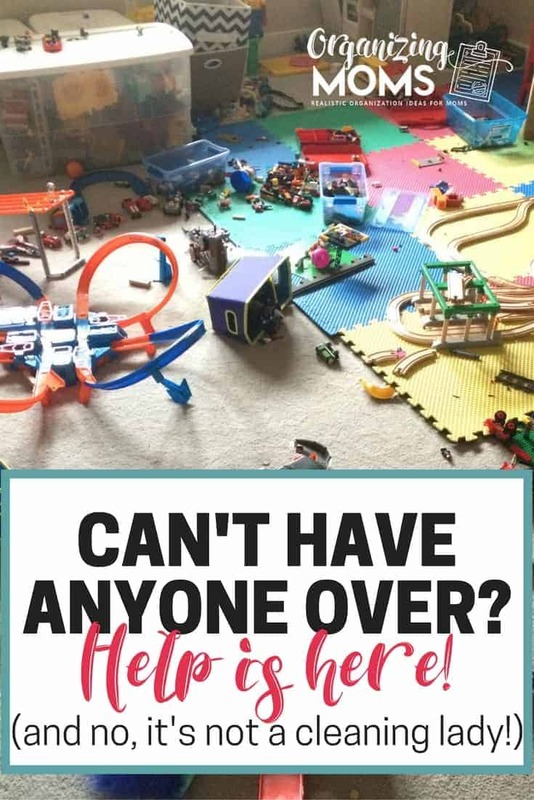 Are you feeling like you’ll always be embarrassed to have people come over to your house because of the mess? You might have what Marla Cilley calls “Can’t Have Anyone Over Syndrome,” or “C.H.A.O.S” for short. Can’t Have Anyone Over Syndrome will make you want to ban people from coming in your home. You’ll do almost anything to not have to have people over for a visit. If you see one of your friends coming up to your front door, you’ll hide and pretend like you’re not home. The good news is that Can’t Have Anyone Over Syndrome is totally curable. Here’s some things you can do to get rid of it! Be realistic about how clean your home has to be. It doesn’t have to be perfect. It doesn’t even have to be close to perfect. There just needs to be a clear path for walking, access to a drink of water, and a place to sit. Get rid of the clutter. When you have less clutter, there’s less to manage, clean, maintain, and push out of the way when you’re trying to clear a path for guests. Set up a decluttering routine. Not sure where to start? My step-by-step decluttering guide for beginners can help! Start by decluttering for just 10 minutes a day, every day. After a while you’ll see pretty awesome results. Start a super basic, non-overwhelming cleaning routine. I recommend checking out Marla Cilley’s site – FlyLady. It will help you get started with a simple, yet effective cleaning routine. And, it’s free! Before you have company, take out all of the trash, and put new trash bags in the trash cans. It gives the illusion of a recently-cleaned home. Use a “when company comes over” candle. Light that baby up whenever you know someone’s coming over to mask any weird house smells. Stop the inflow of stuff. Stop new clutter from coming into your home by being vigilant about what gets to come in your home. I think I’ll always struggle with my Can’t Have Anyone Over Syndrome, but I can keep it under control by doing the things above. I’m always going to worry a little bit about what other people think of our house, (Will they call the health department? Do we have good insurance in case someone trips on a HotWheel and ends up at urgent care?) but I’ve realized that if I let having a perfect house get in the way of having friends over, I’m going to be missing out on a lot! So, if you come over to my house, it won’t be perfect. But there will be a path, a beverage, good company, and a lot of fun! What about you? 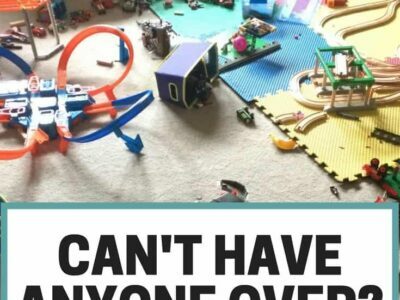 Do you suffer from Can’t Have Anyone Over Syndrome? Tell us about it in the comments. 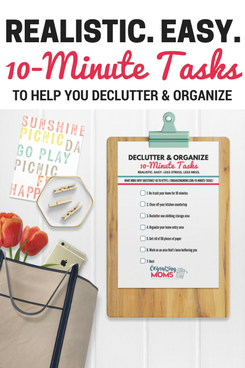 Looking for a proven decluttering plan that you can complete in just 10 minutes a day? Check out Get Rid of It! A Step-By-Step Decluttering Guide for Beginners. It’s designed to help you make maximum decluttering progress, while building a realistic, sustainable decluttering habit. Learn More Here.